Whether you are running a professional carpet cleaning business on a small level or a commercial business level, you have to provide premium services to maintain the standard of your business and generate revenue. There are many professionals and commercial carpet cleaners that make your life easy. With their modern and sophisticated machinery and excellent cleaning techniques, these pros clean your carpets like it was never used before. One of the most difficult things to clean is the carpet, or so you think. It is not that difficult to clean the carpet if you’re a professional carpet cleaner. But people still hesitate to hire professionals for doing this job, why? Let’s take a look at the top 7 myths about commercial carpet cleaning. You might think that it is much easier and cheaper to clean the carpet yourself but in the long run, it is more expensive because using chemicals from a store can cause your carpet to wear out much sooner and lose its color. Even if you buy equipment that is equivalent to the ones that commercial carpet cleaners use, you will still end up damaging the carpet because you don’t have the skills and training that commercial carpet cleaning companies have. It might seem tempting to replace your old carpet with cheaper carpet rather than to get carpet cleaning, but in the long run, it will become more expensive than commercial carpet cleaning. The cheap carpet will not give a good impression and will wear out much faster. It’s better to purchase a good quality carpet and invest in commercial carpet cleaning. Most new carpets are made to withstand extensive amounts of vacuuming, but there might be some vacuums that are much more aggressive towards carpets. 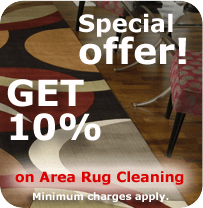 Keeping that in mind commercial carpet cleaning services use professional equipment which will not harm the carpet, and it is proven that vacuuming can remove 80-90% of the dirt in the carpets. This is true but it will only happen if the carpet is cleaned by an amateur cleaning company or is not handled properly and the carpet is left soaked for days. Bacteria can cultivate in wet conditions, but most of the commercial carpet cleaning companies will make sure that the carpet is dried after steam cleaning to prevent any bacteria from growing. These products might seem promising but can have an adverse effect on your carpet. They usually have a powder which over time accumulates in the carpet making it dirtier and harms the carpet if they are exposed to water. This will only occur if the carpet is cleaned improperly and some sticky residue is left behind. Nowadays’ company’s use professional equipment which ensures residue is left behind that will make the carpet dirtier. It is not wise to wait for the carpet to seem dirty as dirt particles and bacteria might accumulate which are not visible to the naked eye and cause health problems. They might even eat through the carpet reducing its lifetime more and more. It’s best to get professional carpet cleaning service every 6 or 12 months to make sure your carpet stays clean. Reach out to a professional carpet cleaning company like Legacy Carpet for any questions or concerns.